Nintendo have today announced that they plan to release the Circle Pad Pro across Europe from 27th January 2012. The Circle Pad Pro will be on sale at retailers as a stand alone item . 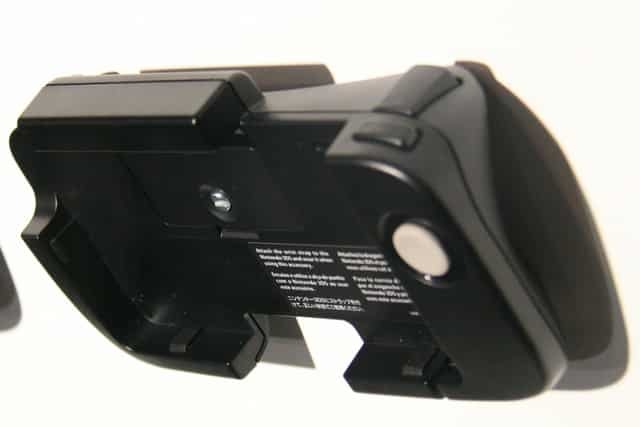 The accessory attaches to the Nintendo 3DS, is powered by an AA battery and offers a secondary Circle Pad to be used with a specific range of software. A wrist strap is also provided in case, for whatever reason, your grip slips. Resident Evil: Revelations will be the first title to use the accessory, and a special limited edition bundle will be available at launch which will include the new Circle Pad Pro alongside a copy of the game.